It's easier than ever to get to Mandurah. You can drive there in less than an hour or catch the train and it's even quicker. Whether you go for the day or decide to rent a fabulous house and settle in for a holiday, here are some of the best things to do with the family in Mandurah. Mandurah Cruises operate a number of different cruises throughout the day including one hour dolphin cruises, longer lunch time cruises where you can enjoy fish and chips as you cruise around, plus the enormously popular Christmas Lights cruises in December and January (highly recommended). 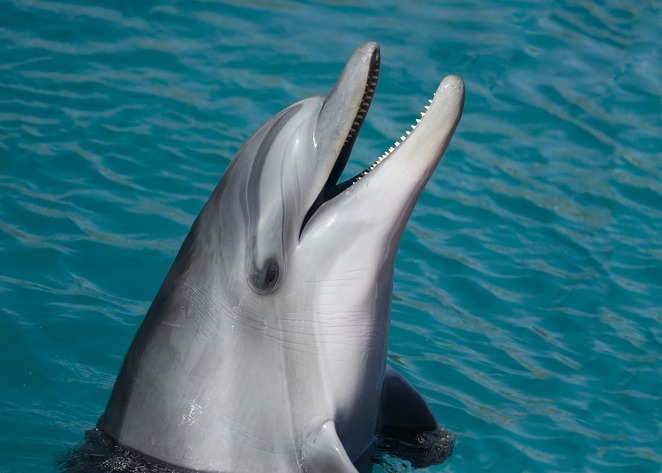 While they can't guarantee you will see one of the 65 dolphins that call Mandurah home, it is a fascinating tour around the canals of Mandurah and you will see some of the biggest and most impressive waterside houses in the state. Keep an eye open for the dinosaurs. Open daily from 9am to 5pm, the 18 hole mini golf course overlooks the stunning Mandurah Estuary and while the course (and the Carnival) is a bit tired, mini golf is always a popular choice with the kids. The course relies on simple obstacles and gradients – there are no spinning windmills or complicated mechanics. The winner actually gets a prize, which is a pleasant surprise – I was awarded a cute silver golf club and balls key-ring for trouncing my kids. Be warned that the mini golf is located in King Carnival, so unless your kids aren't the nagging type, be prepared for a potential debate about the merits of spending the rest of the day on the ferris wheel or dodgems. Everyone knows about the Margaret River Chocolate Factory, but did you know that Mandurah has its very own chocolate company? Decadent Cs is a family run business about five minutes out of Mandurah and offers an eye-watering range of decadent cakes, a range of house-made chocolates and truffles and a comprehensive lunch menu. Best of all, it has a large grassed area out the back full of toys, play equipment and a wooden train. It's perfect for kids to run around safely while mum and dad enjoy something tasty. If you are a lover of old-school market stalls from fairy shops, collectables, jewellery, novelty soaps, toys and more, then a visit to the permanent markets at Dolphin Quay is in order. There is always plenty of free parking at the large carpark on Dolphin Drive, and a wander through the stalls is best in conjunction with fish and chips (see below) or an icecream from one of the many restaurants around the Quay. Café Moka at the Dolphin Quay is a great way to start the day. An elegant yet casual space overlooking the docked boats at the marina, the breakfast menu is varied and tasty. Kids have their own kids menu, with the coconut and choc chip pancakes very good value. The serves are generous and they use a liberal amount of fresh salad greens on most (adult) dishes making you feel like you are starting the day in a wholesome way. Peel Zoo is perfect for little people because all the exhibits and animals are closely located and you don't need to walk for miles. It is also very hands-on with plenty of chances for kids to feed animals (buy a bag of feed at the front reception) plus regular demonstrations where you can hold a snake or other animals. There are over 100 breeds of animals, most of them Australian natives. You can bring a picnic, use the BBQ or buy lunch from the café. If you visited Mandurah as a kid in the 80s and 90s you would probably remember the Mandurah Castle Fun Park, and if you happen to drive past what remains of it on Old Coast Road, it's wise to have a prepared answer up your sleeve when the kids ask what happened to its charred, abandoned remains. This article by a fellow WeekendNotes writer remains one of the best and explains what happened. Built around an estuary that is larger than the Sydney Harbour, not to mention miles of man-made canals, Mandurah is a hot spot for water-based activities from kayaking to kid-friendly beaches to jet-skiing. The best thing, is that you can hire almost anything from a houseboat to a bike to a canoe. Check out this fabulous article for a detailed list of all the water-based activities in and around Mandurah. I think it is illegal to spend the day in Mandurah and not have fish and chips for lunch, a by-law was passed in the early 1980s, and while there are plenty of fabulous choices all across Mandurah, our favourite is Sharkys in Dolphin Quay. The serves are enormous (the kids spaghetti bolognaise will feed a family of four) and the fish batter is a brilliantly crisp panko crumb - not heavy or greasy. You can choose from the large indoor hall or outside tables overlooking the marina. Service is minimal and it can be a bit of a wait during busy times, but with a view like that, it can be pleasant to sit and watch boats (and dolphins). Click here for other restaurant options. Kids are spoiled for choice with the fabulous playgrounds in and around Mandurah. From the large playground on the foreshore (near to Dome Café) which is perfectly located for the weekend markets, there are also other playgrounds that are worthy of the drive. Quarry Adventure Park in Meadow Springs is not only stunning (set in the side of a rock quarry) but has an amazing bumpy slide and ropes course, beautiful BBQ areas and plenty of shade (corner of Pebble Beach Rd and Wincrest Way, Meadow Springs). The Adventurscape Park in South Yunderup is a 15 minute drive from Mandurah and perfect for kids of all ages. It lacks the shade of The Quarry, but it has a huge flying fox, real tractors, life-size farm animals, an enormous 8m slide, a lake for kayaking and plenty more (Inlet Boulevard, Austin Lakes, South Yunderup). Both parks have free BBQs so bring some snags and a loaf of bread and make a day of it. The weather can't be perfect all the time, so when it is particularly hot or wet and you just want to stay indoors, let the kids run off their excess energy at one of the indoor play centres. Chipmunks is relatively new and is absolutely enormous with a huge bouncy castle and separate areas for little and big kids. It can be noisy with the air cannon but the kids will love it. The Fun Fact'ry is a bit older and simpler, but kids will still love the enormous racing slide and bouncy castle, and parents will appreciate the (relative) peace and quiet. It looks like a lot of fun things to do as a family; many of them would be entertaining even without kids. The golf and dolphin cruise sound particularly enjoyable. Congratulations Shannon on the big 500! A noteworthy achievement! We love the great info on Weekend Notes, thanks Shannon!